Recommended that you select overlaminate to protect this sign from harsh chemicals. 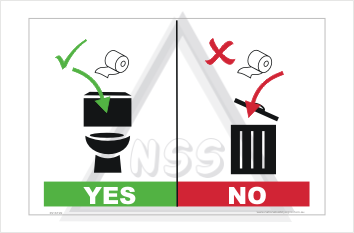 Buy the Toilet Paper disposal sign here. No Toilet Paper in the bin. Place toilet paper in the Toilet only sign. These signs are usually sold as stickers, however plastic and metal signs are available.